Recently I read an online essay that was written by a person whose father has had progressive Parkinson’s disease for several decades. The tone of the essay was one of despair, confusion and frustration from a son who truly loved his father and would do anything to help him. Given the fact that a lot of the medical information that is on the internet comes from Big Pharma websites, the author understandably repeated many of the myths about Parkinson’s disease, such as the “no known cause” myth or the “it might be genetic” myth. However, in the middle of the essay, the author did reveal that his dad had been a farmer in his younger years and had been exposed to some of the common agribusiness-promoted neurotoxins (such as insecticides and herbicides) that seem to have been accepted by the industry as normal parts of farming. Of course, physicians have known for a long time that neurodegenerative disorders like Parkinson’s disease are one of the occupational hazards of farmers who are exposed to neurotoxins like farm chemicals, solvents and heavy metals. I just finished reading your fine essay about your father’s Parkinson’s disease and want to express my sympathies. I understand your need to wade through the massive amounts of online information on the subject and your efforts to look for hope in what is, unfortunately, an essentially incurable neurodegenerative, neurotoxin-induced illness. My own father developed permanent, disabling Guillain-Barre syndrome shortly after he was vaccinated in the fraudulent Swine Flu pseudo-epidemic of 1976 which resulted in thousands (perhaps millions) of other under-reported neurotoxic, neurodegenerative disorders that were caused by the mercury-containing vaccine. (BTW, there was only one case of “flu” that caused the death of a physically and emotionally exhausted soldier during his basic infantry training that led to that infamously fast-tracked, CDC-mandated, freak-out vaccine campaign – a total fraud perpetrated by an alliance between the CDC, the FDA, Big Pharma, Big Medicine and Big Media. In the months that it took Big Pharma to concoct a mercury-loaded vaccine, there had developed no other cases of “swine flu” – and yet the momentum that had been generated resulted in a media campaign that urged everybody to get their flu shot! The vaccine industry and the CDC had heavily invested in the vaccines and would have lost hundreds of millions of dollars if the fraud had been exposed and the campaign halted. There were no Mea Culpas from any of these previously honorable professional organizations. There have been many highly profitable false hopes that have been regularly offered by Big Pharma’s giant for-profit multinational corporations that distracts us from the reality of causative environmental neurotoxins (like your father’s sub-lethal exposure to neurotoxic pesticides, fungicides and herbicides) that are known to cause dementia, Parkinson’s and many other degenerative brain disorders. Of course many healthcare industries in this nation are interested in the profit potential of self-limited, curable or preventable disorders that could instead become chronic, life-long, difficult to diagnose, incurable, or even autoimmune disordered clients who would then need life-long follow-up visits, life-long drug-prescribing, life-long lab testing and life-long med checks. Prevention and cure is not good for the “healthcare” bottom line. The abnormal protein that you mentioned that has recently been found in the brains of autopsied Parkinson’s patients is, in reality, just a clue that was left behind following the death of the killed-off neurons in the substantia nigra, the site of degenerated dopamine neurons in Parkinson’s disease and the brainstem location where the poisoning of 80% of the dopamine neurons will cause Parkinson’s disease in any animal. The protein thus may simply represent abnormal left-over protein molecules from the putrifying process that occurs in all dead and dying proteinaceous carcasses. Magnifying the importance of an abnormal protein that is found within dead tissue is just another disinformation ploy perpetrated by some Big Pharma corporation and their scientists. Avandia (a blood sugar-lowering drug), Baycol (a cholesterol-lowering drug), Cylert (an ADHD drug), Darvon (a pain pill), Diethylstilbestrol (to prevent premature labor), Duract (a pain pill), Fenfluramine (half of the disastrous weight loss combination Fen-Phen), Halcion (a benzodiazepine-type sleeping pill), Melleril (an antipsychotic), Meridia (an appetite suppressant), Lotronex (and also Zelnorm, both irritable bowel drugs), Oraflex (an NSAID drug), Phenformin (a glucose-lowering drug), Phenylbutazone (an arthritis drug), Propulsid (a drug for slowing down peristalsis), Seldane (an allergy pill), Trovan (a fluoroquinolone antibiotic), Vioxx (an arthritis drug), etc, etc. Please note that the above list only contains a small number of the hundreds of similarly banned prescription drugs that hadn’t been tested adequately prior to being granted marketing approval from regulatory agencies like the FDA. Of course, giving false hope is actually an act of cruelty, because the false hope disrupts the efforts needed for the prevention of such diseases by de-emphasizing the real root causes of a disease – especially the iatrogenic ones. The truth is that the finding of an unusual protein in the chemically-poisoned wasteland of the brain’s is just another of the many types of evidence that can be found at any crime scene which is not necessarily the cause of the crime. Correlation does not mean causation, but Big Pharma jumps at such correlations because it is good for their business. Thus the best efforts to deal with Parkinson’s or so-called Alzheimer’s or Autistic Spectrum Disorders – all caused by exposures to neurotoxic substances of one kind or another – are often made considerably worse in the presence of one or more toxic substances. Good medical practice should prevent people from becoming ill with neurodegenerative disorders in the first place, but it also should be trying to prevent already-ill patients like your father from getting worse by pointing out the avoidable neurotoxins in the environment or the clinician’s armamentarium that could worsen the illness. I submit that that should include the avoidance of prescribing additional drugs that might be neurotoxins or mitochondrial toxins or vaccines that could contain neurotoxins or mitochondrial toxins. It seems to me to be the height of absurdity for the pharmaceutical industry to be proposing a new vaccine (that will have neurotoxic ingredients in it) for a degenerative nerve disorder that has no connection to a theoretically vaccine-treatable infectious disease. It would be safe to say that much of the research that you have found online originates from the laboratories of for-profit pharmaceutical companies that are in the business of increasing shareholder value and not for making sick patients well. Big Pharma’s most visible cheerleaders in these matters are (co-opted-by-the-drug-industry) academic physicians that have MDs or PhDs behind their names and who, for their professional survival, need to get published. It is also important to acknowledge that virtually all of the mainstream medical journals (that most clinicians subscribe to [but mainly speed-read through]) are beholden to Big Pharma’s wealthiest drug advertisers. Many of those research scientists and teaching academics are outright Big Pharma employees, shareholders, own stock options in the companies, receive honoraria as lecturers or are highly paid salespersons for the industries or are on well-paid panels of so-called “experts” that advise the CDC or FDA on what new drugs or vaccines to approve. Many of the scholarly articles to which they claim authorship are actually ghost-written by company employees. Most practicing physicians do not have significant financial conflicts of interest with Big Pharma, but they DO have professional conflicts of interest in Big Pharma’s drugs and vaccines, for many of Big Pharma’s synthetic chemicals can cause any number of drug- or vaccine-induced chronic illnesses (including autoimmune disorders) which then produces a lot of chronic patients that will directly benefit them, their clinics and their healthcare organizations. The story above is true for the synthetic chemical causes of Parkinson’s, drug-induced dementia, or Autism Spectrum Disorders or Multiple Sclerosis or Amyotrophic Lateral Sclerosis or Gulf War Syndrome, or any of the many Vaccine-induced or Psychiatric Drug-induced disorders, both categories of which involve the poisoning of the energy-producing organelles of the body called mitochondria. I suspect that you are among the many who have wondered about the regularly scheduled media campaigns that seem to come from the CDC, the FDA and/or from Big Pharma and their co-opted academic physicians – like the notorious academic pediatrician and multimillionaire Dr Paul Offfit (who got rich because he developed a rotavirus vaccine), who once claimed that infants could safely receive 10,000 vaccines at one sitting without suffering any adverse effects! Those media blitz campaigns have regularly over-publicized infectious disease clusters and then blamed allegedly inadequate vaccination rates for the occasional outbreak of some childhood infections disease like measles , whereas in actuality, the so-called “measles” clusters were never proven to be measles – only measles-like rashes. And what is worse, the CDC or local health organizations never admitted that many of the victims of those outbreaks had been fully vaccinated! There have also been well-funded media campaigns to smear independent, scholarly, altruistic scientists whenever they exercised their duty to warn others after they had connected the dots between the multitude of iatrogenic disorders (“iatrogenic” = physician-caused or medication-induced) and the multitude of cellular toxic and neurotoxic synthetic chemicals that are commonly prescribed by physicians. The reality is that most of the medications on the market today were never adequately tested for long-term safety or long-term effectiveness in human subjects prior to gaining marketing approval. So anybody who has been urged or ordered to take more than one drug has no assurance that either one has been proven to be safe or effective long-term, especially in combination. What is even worse is the fact that any combination of two or more drugs has never been subjected to either short or long term trials in the pre-clinical animal lab (rat, mouse, guinea pig or monkey) experiments, where microscopic examination of brain tissue is done. It has been well established that every one of the five classes of psychotropic drugs can cause dementia, brain damage, brain shrinkage, mitochondrial toxicity, drug dependence [addiction], worsening depression, worsening anxiety, insomnia, somnolence, mania, lethargy, psychosis, irrational behaviors, aggression, suicidality, homicidality, etc, etc, depending on whether the drugged-up, intoxicated person is experiencing some of the multitude of adverse effects of the psychoactive drugs or is experiencing the often serious withdrawal symptoms that commonly occur when the drugs become intolerable. And it has been well established that all intramuscularly injected vaccines – whether they 1) are live virus-type (MMR/polio), 2) contain the preservative mercury/thimerosal (all multi-dose flu shots and most childhood vaccines prior to 1999) or 3) contain the adjuvant aluminum (including most of the non-live virus vaccines, including the HPV and pneumonia vaccines) have both lethal and sub-lethal consequences (which can manifest themselves immediately or in a delayed fashion). And here is the upshot for you and your father: the annual vaccinations that he has been urged or ordered to submit to by well-meaning and often naïve clinicians, may be making his neurodegenerative disorder worse. The heavy metal neurotoxicities of the aluminum-containing pneumovax shot and the mercury containing flu shot are known to bio-accumulate in the brain and body tissues with each dose, and aluminum has been consistently found in the degenerated brain tissue of well-vaccinated patients, particularly in the amyloid deposits of so-called (and mis-labeled) “Alzheimer’s dementia of unknown etiology” patients. And there is another serious upshot if you have infants or small children, because at the time when an infant’s brain and body are at their most vulnerable (at their 2, 4 and 6 months “well baby” pediatrician visits, after which there is a significant increase in sudden infant death syndrome [SIDS] or near-SIDS episodes), up to 9 antigenic substances (along with their toxic vaccine ingredients and inadvertent contaminants) are injected at one sitting! And Dr Offit and his pro-vaccine colleagues concur, despite their having taken the Hippocratic Oath at the beginning of their careers. You touched upon a very telling truth in your essay. You talked about the many neurotoxic substances (pesticides, herbicides, fungicides, insecticides – you omitted petroleum products, solvents and molds) to which your farmer father was regularly exposed – with no hazmat protection – in his early life. Those toxic exposures, as serious as they can be all by themselves, can be expected to have additive (and, more seriously, even synergistic) toxic effects with the many similarly toxic additives in the “food” supply. Those toxic food additives include the non-nutritive synthetic flavor enhancers High Fructose Corn Syrup, NutraSweet (aspartame), Splenda (sucralose), Saccharin, Acesulfame potassium and MSG and the equally toxic additives that make dead meat look pink, such as nitrates, sulfites and dyes, and the so-called preservatives such as sodium benzoate or potassium benzoate (both of which, when exposed to ascorbic acid/vitamin C, turn into benzene, a known carcinogen and DNA toxin. Well, this lengthy message exceeded my initial goal of applauding your efforts to de-mystify Parkinson’s disease. I will probably make use of this missive as one of my weekly Duty to Warn columns (I will let you know if and when it is published). Be assured that I will avoid any information that could identify you. I hope that I have challenged you enough for you to do some additional research into information about America’s iatrogenic neurodegenerative disease pandemic that happens to be a taboo subject for Big Pharma, Big Vaccine, Big Medicine (including the AMA, AAP, APA, AAFP, CDC, FDA, NIMH, NIH), Big Insurance, Big Chemistry, Big Food, Big Agribusiness, Big Finance, Big Media and other giant multinational corporations – the first three of which fund 90% of American medical research and therefore expect a significant return on their investments. Please check out if the sources of the information you run across are industry shill. Before you trust the information. I am sending a recent essay of mine that reveals a number of unwelcome facts about drug-induced or vaccine-induced dementia (they ARE NOT Alzheimer’s!). 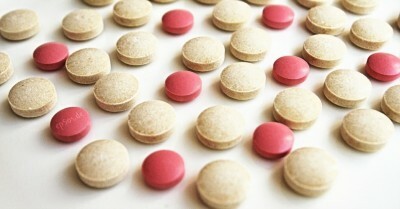 The article can be found at (http://www.globalresearch.ca/drug-induced-dementia-is-not-alzheimers-disease/5545492). The article contains many of the facts that you need to know about America’s history of iatrogenic, drug-induced, vaccine-induced, neurologic illnesses like Parkinson’s and dementia. Diseases like those could have been prevented, but are now clogging up America’s medical system. Physicians like me are partially responsible for the pandemic. Drug- or vaccine-induced, iatrogenic illnesses are the focus of many Big Pharma corporations that are always looking for ways to profitably expand their markets by developing new products to “treat” new diseases that may have been caused by the old products in the first place. And unless the propaganda coming from Big Pharma and their partners is effectively countered, that unholy alliance will continue to manufacture, advertise, market and prescribe increasingly unaffordable, illness-producing drugs and vaccines that will surely make America’s physical, neurological and mental health even worse than it is already. Happily for holistic and preventive healthcare practitioners and their lucky patients, prevention and cure doesn’t create permanent clients (aka, “cash cows” for Big Pharma and Big Medicine). Anyone who has followed the get-rich schemes of most of Big Pharma’s and Big Medicine’s CEOs, boards of directors and co-opted academic physicians easily understands how obscene medical costs has made healthcare a major cause of individual bankruptcies in America. One only has to consider the fraud, corruption and price gouging involving EpiPen, Mylan, Merck, GSK, Pfizer, Lilly, Astra-Zeneca, Bayer, Novartis, Sanofi Aventis, etc). Any aware person knows that those entities are making obscene amounts of money by creating permanent patients who will be over-diagnosed, over-medicated, increasingly ill, increasingly disabled and over-inoculated with aluminum-adjuvanted vaccines – and therefore increasingly likely to also develop iatrogenic autoimmune disorders. My hope is that increased awareness and self-education will eventually lead to more accurate diagnoses, real prevention and real cures of toxified people like your father. Dr Kohls is a retired physician from Duluth, MN, USA. In the decade prior to his retirement, he practiced what could best be described as “holistic (non-drug) and preventive mental health care”. Since his retirement, he has written a weekly column for the Duluth Reader, an alternative newsweekly magazine. His columns mostly deal with the dangers of American imperialism, friendly fascism, corporatism, militarism, racism, and the dangers of Big Pharma, psychiatric drugging, the over-vaccinating of children and other movements that threaten American democracy, civility, health and longevity and the future of the planet.